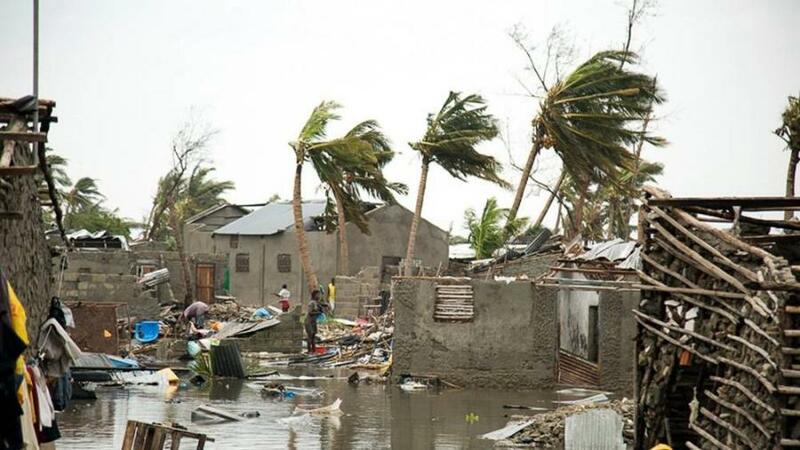 The tragic Cyclone Idai claimed a total of at least 750 lives in Mozambique, Zimbabwe and Malawi by 24 March 2019. In addition to loss of lives, the natural disaster also rendered the survivors homeless, disabled, destitute and in need of urgent food and livelihoods assistance. Assistance in monetary terms and in-kind came from Governments, international humanitarian organisations, aid agencies, the private sector and individuals. The European Union and African Union availed Euro3.5 million (European Union Delegation to the Republic of Zimbabwe, 2019), and USD350,000 (African Union, 2019) respectively in emergency aid towards the cyclone whilst the UK Aid provided GBP18 million towards the cause (Department for International Development & Mordaunt , 2019). The Government of Zimbabwe committed to disburse RTGS$50 million to assist the victims and restore infrastructure destroyed by the disaster (The Zimbabwe Mail, 2019). Individuals and Trusts also innovatively crowdfunded towards the disaster using GoFundMe, the most prominent one in Zimbabwe being one created by Freeman Chasi, which had raised USD80,000 by 25 March 2019 (Zimbabwe Cyclone Relief, 2019). Individuals, through various organisations and churches donated clothing, foodstuffs, cooking utensils and other household items to support those affected by Cyclone Idai. Assistance coming in monetary form was for urgent use in the field and the natural tendency is to ensure that the work is done, even if it means overriding principles of good financial management. We outline below some of the measures that can be taken to manage finances during times of emergency. Due to the severity and urgency of need, a rational individual would want to go to the affected area with all the money and resources available immediately upon hearing of the disaster. This may result in the inequitable distribution of resources with the worst hit areas given less than adequate attention whilst manageable situations receive unduly huge allocations. A quick scan needs to be performed on the needs in the affected areas so that decisions can be made regarding optimal allocation of resources. Research also needs to be done on the assistance already given by other organisations to identify any neglected areas. With emergencies come a lot of unforeseen expenses that may temp the officers to want to use cash for all expenses. However, travelling with a lot of cash exposes to risk of theft. It is prudent to consider the budget and identify payments that can be made using cheques or bank and online transfers. These would include staff allowances, accommodation and meals, fuel, carriage and payments to any contractors hired for rescue purposes. Any cash taken to the field should be kept in a locked metal box and stored in a secure, discretely located safe, which should be disguised as much as possible. Where possible, the safe can be placed in a bank or pharmacy safe deposit and cash should only be taken from the safe when needed. Only one person should be assigned to oversee and access the safe to minimise risk. Secure trackers can also be attached to the safe to ensure its location can be remotely identified. This would aid the recovery of the safe in case of theft. Confidentiality should be maintained about the availability of the cash and movement of the safe should be restricted. Advertising or otherwise informing the public about the availability of cash should be avoided. Staff should not make social media posts indicating or suggesting that there is cash being carried by the response team. It may be advisable to obtain cash-in-transit insurance before leaving for the field. This would provide recourse in the event of theft or other undesirable eventualities. Where the rescue team is entering a different customs zone, it is advisable to declare the available cash with the authorities – customs department and/or the police. This would validate any reports which may eventually be made on the theft of the money. Each time cash is handed from one person to the next, the persons handing and receiving the cash should sign to confirm the transaction on a prescribed form. This would work as the sole source document for accounting purposes, particularly during emergencies where receipts and invoices are seldom available. The custodian of the cash should reconcile cash on a daily basis where possible. The reconciliation should be carried out in private or during a quiet period to avoid being distracted or diverted. The senior person on the field mission should carry out surprise cash counts to ensure cash is accounted for properly. The officers should keep working advances separate from personal money. Once the activity is completed and excess cash is returned to the office, official handover documentation should be signed by the personnel exchanging the cash. There is significant risk of fictitious crowdfunding associated with emergencies. Fraudsters may craft an attractive concept note for online viewing and solicit money from the unsuspecting public. There is therefore need to ensure robust systems surrounding crowdfunded donations throughout the process. At the onset, the promoters of the crowdfunding should establish a registered Trust to administer the money to be crowdfunded. It is not advisable to use an individual person’s name for crowdfunding. Bank accounts dedicated for the purpose of crowdfunding should be opened in the name of the registered trust. The online crowdfunding platform should be linked to these bank accounts and regular reconciliations should be carried out between the online platform and the linked bank accounts to ensure that all the money on the platform ends up in the bank account. Since crowdfunded donations are of public interest, it is good financial management to report to the public on the use of the funds and invite any auditors to perform audit on the use of the funds. Since most of the funds are crowdfunded for just causes, some firms may actually offer Pro Bono services. The act of ascertaining the monetary values of donations in kind is a highly subjective exercise. The most important statistics for such donations are the numbers of donated items. At the donation site, it is advisable to have officers receiving and booking the items received and grouping them according to type e.g. men’s trousers, ladies’ shirts, blankets, beds, linen etc. Discounted unit values for the donated items are used to estimate the value of donations for accounting and reporting purposes. Where possible, distribution sheets can be used when distributing these goods to the beneficiaries. This would aid the preparation of reports by both finance and programmes personnel. Whilst emergencies call for urgent response by organisations, good financial management practice still needs to be observed to ensure that opportunities for those bent on personal benefit at the expense of the beneficiaries are minimised. As we continue supporting the victims of Cyclone Idai, let us all embrace sound financial management and ensure that the donations of well-meaning individuals, corporates, organisations reach where they are needed most. Luxon Kalonga is the Senior Financial Management Consultant of KFM Consultants which provides financial management, governance and sustainability services for the NPO sector.